WanderMan: 2019 REVISED (w/Links!) - How to Go From Winter's Slumber to Spring's Re-Awakening And Perform A Yearly Safety Check. 2019 REVISED (w/Links!) - How to Go From Winter's Slumber to Spring's Re-Awakening And Perform A Yearly Safety Check. I had a few nicer days last week, so I have been slowly beginning my Spring Re-awakening started. It's getting close to the RV Season here so it's time to think about getting your RV ready to travel! I know I'M ready to travel! 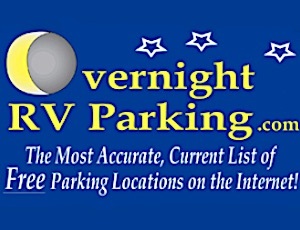 Time to wake the slumbering beast (well, my RV is more like a tame house cat than a beast). I'm going to de-winterize, inspect and repair for the upcoming season. Winter was great for planning and researching projects, not so great for actually DOING them! If you plan ahead and prepare, getting your RV ready for the season or checking it once a year if you are blessed to live in a warmer climate, should go smoothly and easily. Yes, I know NOTHING ever goes smoothly and easily. Let's hope this Spring's charmed. Inspect Underneath For Leaks, Puddles, Dry Rotted Hoses, Excessive Rust, Cracked Gas Pipe Joints, Frame Problems, etc. Wash RV and Inspect for cracks, chips, glass breaks, leaks, etc. Repair if needed. Replace Water Heater Drain Plug and/or Anode. Open Door(s) Test Operation. Lubricate if Needed. Check for Leaks; Roof, Doors, Vents, etc. Check Bathroom Vent for Operation and Seal. Check Windshield Wiper Blades Replace If Needed. Check Airbag Compressor for operation and leaks. Listen for "strange" noises. Clangs, Bonks, Whistles, Squeals, Chattering, Rattles, Clunks etc. Go Outside, Look Under RV..Any New Leaks? Make Sure Water Heater Emergency Pressure Relief Valve is Closed! Feel free to send me new items to add or ask questions! Another fantastic list... way more than I do, since I have a travel trailer. And because I'm lazy. Pressurize System (Pump and City Water, One at a time) " Run fresh water through your whole system before turning off your water heater by-pass and this will avoid getting almost any RV antifreeze into your water heater. This is presuming RV antifreeze was used versus just blowing the lines out. But then if you blew the lines out why would you need a water heater bypass. That is correct. It's an either or kind of thing...for completeness sake. This is the most thorough list I have seen. It's a little daunting, to say the least. I hope we can tackle most of these in the next few weeks. taken in small bits, ut's easy to get done!